All I’d want is you to be my sweet honey bee. Just saying. The gerbera daisy is my favourite flower in the entire kingdom of flowers because its colours are totally vibrant like WOOHOOOOO, look at me, I am awesome and bright, I BRING JOY TO YOUR EYES! Yeah, especially the orangey red ones where the colour is so deep and rich that you can probably squeeze a tube of acrylic paint out of it and still have some to spare. 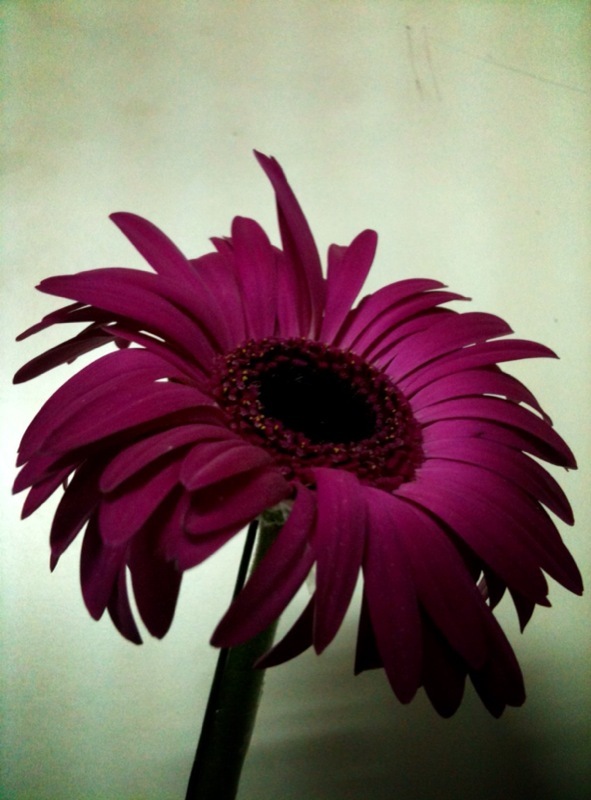 The gerbera daisy is also my favourite flower to give to people I like. It just seems like a perfect gift to make someone’s day even more awesome because you know, it just looks so ready to party all the time. Even then, it doesn’t look out of place standing against the wall, looking so effortlessly cool that you just have to smile.